Not a surprise really but it’s always good to hear from the horse’s mouth. During today’s earnings call, Samsung confirmed that they’re sampling the Exynos 5250 SoC and will begin mass production from second quarter of this year. Samsung’s executive also said that the initial target will be to integrate this dual-core processor into tablets and at a later date, go for smartphones. 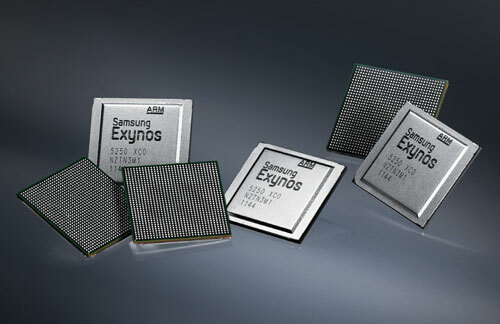 Exynos 5250 is a dual-core SoC that packs two Cortex-A15 chips clocked at 2GHz, supports WQXGA (2560×1600) display resolution and boasts four times superior graphics as compared to a Cortex-A9 SoC. Any comments on which GPU it’s goning to use yet? Mali or PowerVR? As per Androidandme.com’s article, it comes with Mali-T604.